WhatsUp Gold Standard 25 New Devices w/ 12M Service. Essential Network Infrastructure Monitoring Software Priced Right for Small and Mid-sized Businesses (SMBs). Includes automated device discovery, graphical network mapping, SNMP monitoring, and versatile alerting, notification, and reporting capabilities for single site networks. The WhatsUp Gold scalable and extensible product family offers an inexpensive, yet comprehensive network and application management solution that installs, discovers and maps network connected assets in less than an hour. With powerful alerting, notifications and SNMP v1-3 and WMI monitoring, WhatsUp provides 360o visibility, actionable intelligence and complete control. 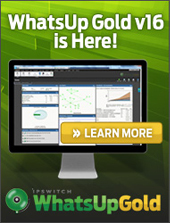 VoIP and NetFlow monitoring and Layer 2/3 discovery and mapping plug-ins can be quickly added to WhatsUp Gold to understand network performance and provide in-depth discovery and mapping capabilities. Intuitive web-based and mobile web management provides a complete picture of the whole network infrastructure in real-time at the lowest possible TCO, right out-of-the-box. 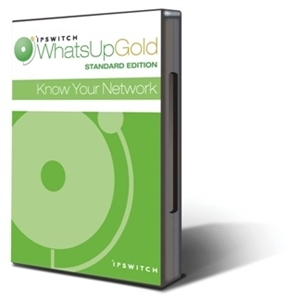 View WhatsUp Gold details for further information on this product. Note: To monitor more devices with WhatsConfigured, or for more sources with Flow Monitor, contact us.